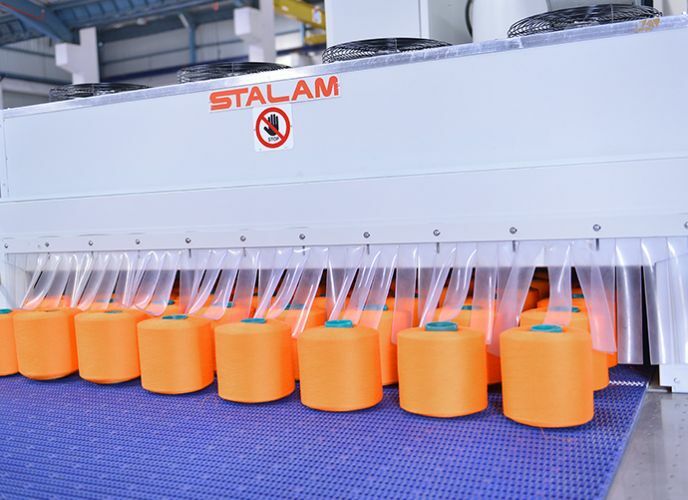 World leader in the Radio Frequency drying and thermal processing technologies, Stalam offers the widest and most advanced range of dryers for the textile industry, which enable their users to obtain the maximum benefits from the RF technology in terms of quality of the finished products, reduced operating costs, high flexibility and outstanding reliability. 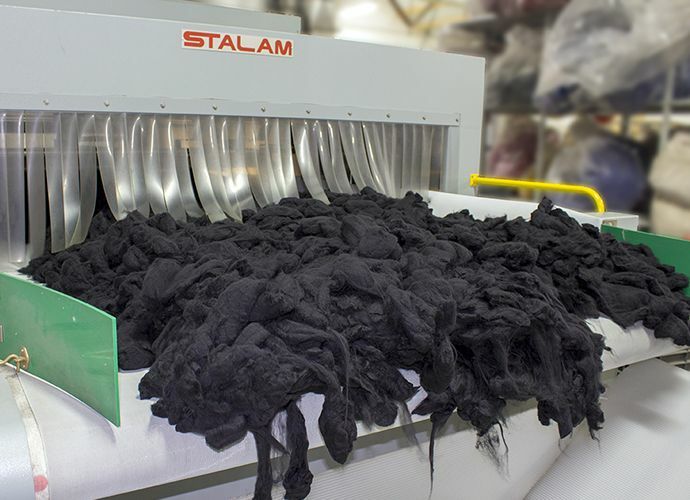 Presently, over 2,000 Stalam textile dryers are in operation in more than 50 countries, having rated power values ranging from 3 to 320 kW; from the simple, manually operated machine, to the fully robotised line complete with computerised control and supervision systems. The RF generators are entirely designed and manufactured by Stalam; they are of the “lumped components” (heavy-duty) type, having high efficiency (over 70% energy conversion rate) and outstanding reliability; all components and circuits are easily and quickly accessible. The cooling system of the RF generators is made up of a fully integrated double water circuit; it is designed to ensure the longest possible life of the triodes and does not require periodic maintenance operations. Upon request, and as a standard in some specific applications, Stalam also supplies generators fitted with a forced-air cooling system. No continuous raising or lowering of the upper electrode for RF power adjustment is required in Stalam dryers: the electrode is fixed or automatically positioned at pre-set heights according to the size of the product being dried. The RF power adjustment is accomplished by the PLC which controls the power supplied to the product being dried through a variable capacitor, located in the RF generator itself, in an accurate and reliable way. The user-friendly touch-screen HMI allows for a quick and error-free setting of the most appropriate drying parameters for each different product. The power density is as low as 5 to 15 kW(RF)/m2 of electrode surface. Therefore the heating/evaporation process is extremely gentle and the quality of the dried product is greatly enhanced. The construction is modular, in the sense that high capacity dryers are made up of two or more drying modules, connected in series. Further modules can be added to the first at any time, so that considerable capital investment and floor space savings are possible. The construction materials are mainly stainless steel and aluminium, to ensure a long life of the dryers even in difficult working environments, and all electrical and electronic components are generously oversized and of the best international makes, to ensure the highest level of reliability. Further to the compulsory compliance with all the prevailing mechanical and electrical safety regulations, Stalam RF dryers are equipped with specific electromagnetic field leakage preventing and RF interference suppressing systems, in order to comply with the strictest electromagnetic compatibility standards in force in the different countries. All problems normally caused by the heat transmission phenomena, typical of conventional drying systems by hot air circulation, are totally eliminated, so that the product dries quickly and uniformly down to the desired residual moisture level, with a beneficial steaming and bulking effect of the fibres which greatly improves the physical properties like elasticity, softness, touch and colour effect. The electromagnetic energy is transferred directly to the whole of the wet product, without losses to the surroundings, instantaneously, and is entirely exploited for the drying process; furthermore, the energy transfer is not negatively affected by variable parameters such as the dimensions or the density of the product, that therefore dries quickly and with the least energy consumption.